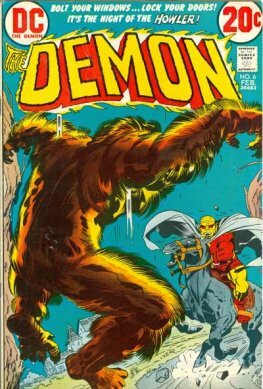 The Demon is a superhero and antihero appearing in comic books published by DC Comics. 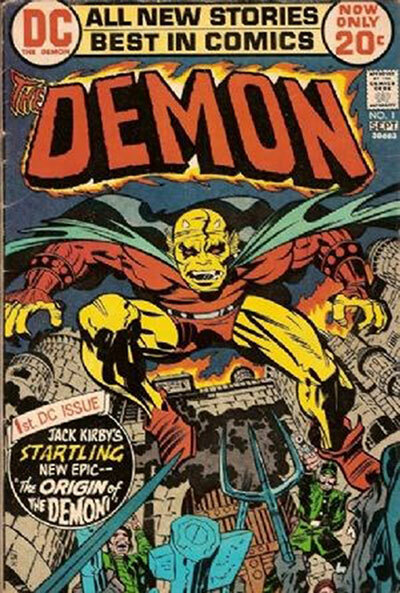 Created by Jack Kirby, the titular character, named Etrigan, is a demon from Hell who, despite his violent tendencies, usually finds himself allied to the forces of good, mainly because of the alliance between the heroic characters of the DC Universe and Jason Blood, a human to whom Etrigan is bound. 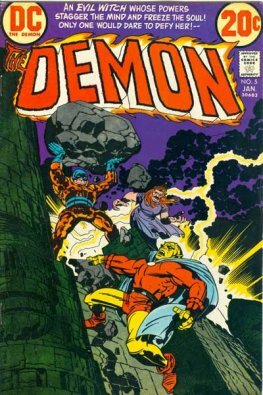 Etrigan is a muscular humanoid creature with orange or yellow skin, horns, red eyes, and pointed, webbed ears. The character was originally based in Gotham City, leading to numerous team-ups with Batman.